Get winter ready in this mega cute sweater. 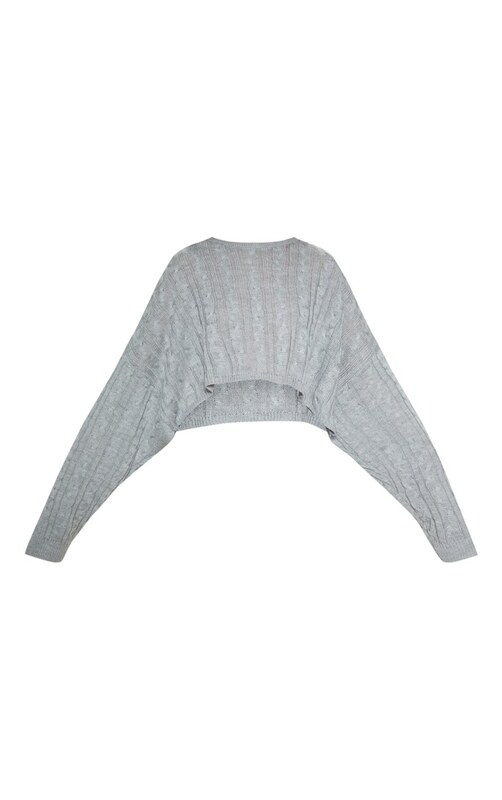 Featuring a grey cable knit material with long sleeves, cropped length and a relaxed loose fit, what's not to love? Team with a pair of ripped denim jeans and add white sock boots and a hat for a look we're loving.